The detailed velocity structure of the diffuse X-ray emitting intra-cluster medium (ICM) remains one of the last missing key ingredients in understanding the microphysical properties of these hot baryons and constraining our models of the growth and evolution of structure on the largest scales in the Universe. Direct measurements of the gas velocities from the widths and shifts of X-ray emission lines were recently provided for the central region of the Perseus Cluster of galaxies by Hitomi, and upcoming high-resolution X-ray microcalorimeters onboard XRISM and Athena are expected to extend these studies to many more systems. In the mean time, several other direct and indirect methods have been proposed for estimating the velocity structure in the ICM, ranging from resonant scattering to X-ray surface brightness fluctuation analysis, the kinematic Sunyaev-Zeldovich effect, or using optical line emitting nebulae in the brightest cluster galaxies as tracers of the motions of the ambient plasma. 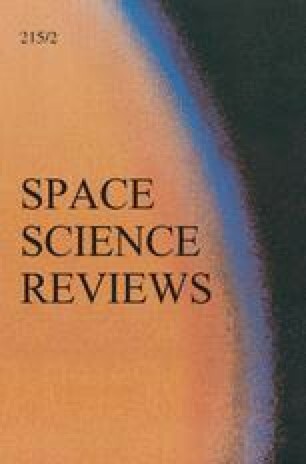 Here, we review and compare the existing estimates of the velocities of the hot baryons, as well as the various overlapping physical processes that drive motions in the ICM, and discuss the implications of these measurements for constraining the viscosity and identifying the source of turbulence in clusters of galaxies. A.S. gratefully acknowledges support by the Women In Science Excel (WISE) programme of the Netherlands Organisation for Scientific Research (NWO). M.G. is supported by NASA through Einstein Postdoctoral Fellowship Award Number PF5-160137 issued by the Chandra X-ray Observatory Center, which is operated by the SAO for and on behalf of NASA under contract NAS8-03060. Support for this work was also provided by Chandra grant GO7-18121X. D.N. acknowledges Yale University for granting a triennial leave and the Max-Planck-Institut für Astrophysik for hospitality when this work was carried out. N.W. is supported by the Lendület LP2016-11 grant awarded by the Hungarian Academy of Sciences. E.R. acknowledges the support of STFC, through the University of Hull’s Consolidated Grant ST/R000840/1 and access to viper, the University of Hull High Performance Computing Facility.